It was all planned out. I would sell my largest items and invest the profits. I would spend my last week working during the days and enjoying time with friends during the evenings. I would fly my mom in to New Orleans on Friday evening. 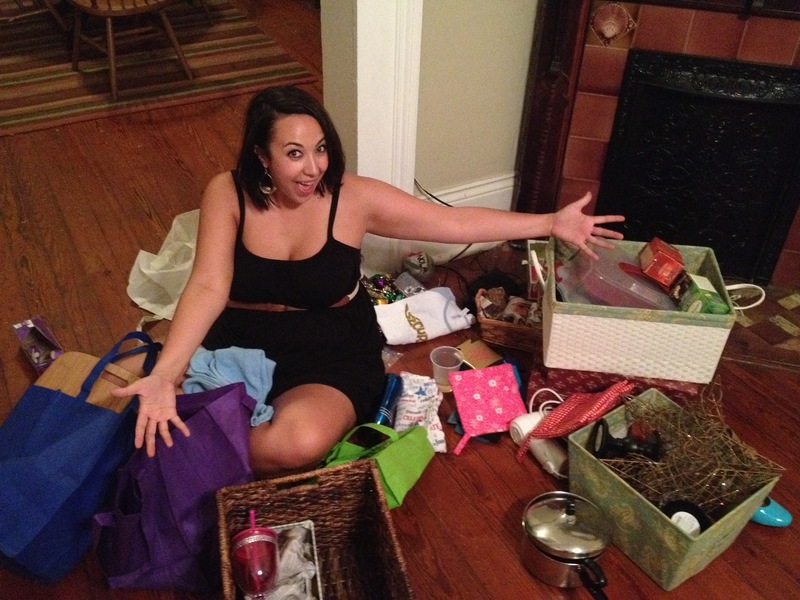 I would have a mini-moving sale on Saturday morning and a farewell party Saturday evening. I would pack everything I owned into my Honda Accord and drive away with my mom accompanying me in the passenger seat. I would feel sad and excited, a blur of many emotions as I said goodbye. I knew the plan but I forgot how often our plans work out as expected. After 6 wonderful, life-altering years, saying goodbye to New Orleans proved to be more difficult and emotionally taxing than imagined. 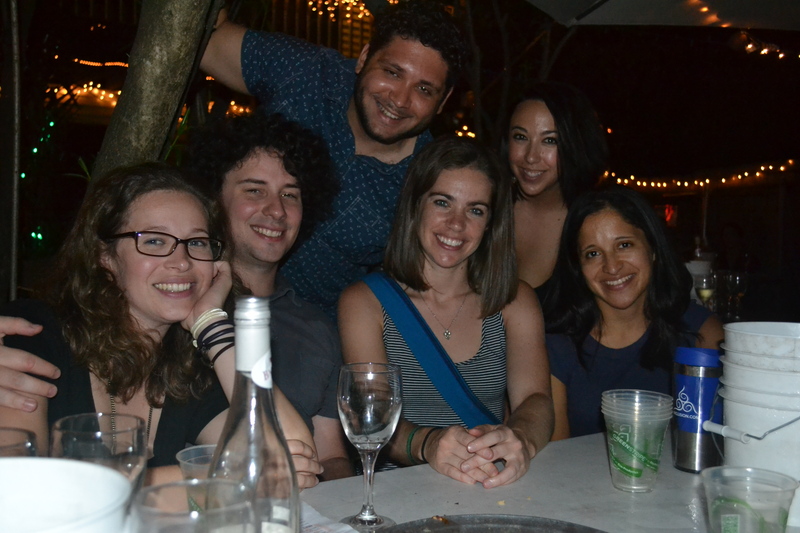 It all started the weekend before the big move, when my cousin was in town for a visit. We spent our weekend exploring some of the many tourist attractions as well as stopping by a few of my favorite spots in the city. While it was her first visit, it was one of my last days in the city so all of our stops were equally significant for both of us. I was managing my emotions well, feeling proud and upbeat, until I walked into a favorite furniture store of mine called Nadeau. I’d recently sold my Nadeau pieces, all of which held deep emotional importance to me, and was already feeling a hint of sadness when I noticed this sign propped up outside of the store. The author of this quote could not have known how much these words would touch my soul and, as the tears welled up in my eyes, I knew it would be a challenging week for me. 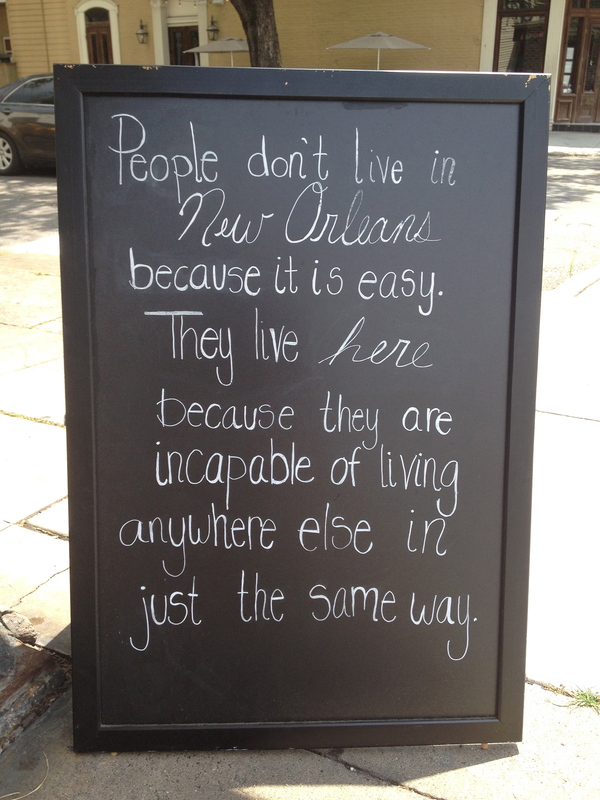 I don’t believe I could have summed up my experiences in New Orleans better than the words expressed on this sign. One brief sentence had the power to capture much of what I was already feeling and much of what I’ve felt in New Orleans over the past 6 years. 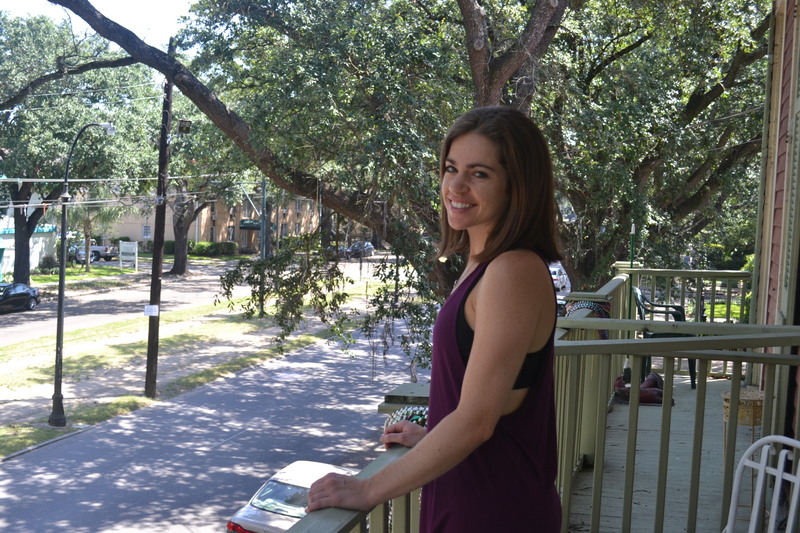 It also reminded me that perhaps one day I would return to the city that made me a better person, return to the people of New Orleans who choose to stay amid the struggle, and the people with little choice at all. It is always difficult to walk away from the place you’ve called home, and in this moment I realized my feelings were unlike those that I’ve experienced before. My last week was a flurry of emotions filled with meaningful time spent with friends, packing and re-packing, furniture sales, wrapping up at work, and last meals at my favorite restaurants. One of the more difficult and eventful happenings was the amount of purging I did in order to fit my life into my Honda Accord. I had sorted through my belongings a few times already but, as I looked out across my bags and boxes of stuff, I knew it would never all fit inside my car. I had been painfully unrealistic yet hopeful, but it was an impossible feat. My mom and I brainstormed ideas to keep all of my items which included renting a second car or finding a way to hitch a trailer to my sedan. None of these options were ideal though and I began to feel frustrated with myself because I was struggling to let go of “stuff”. I had a mind block and could not move past the idea of saying goodbye to many of my belongings, even though I knew they were material things and their loss would never erase the memories attached to them. Thankfully, with some encouraging words from my friends, and one friend in particular who stayed up late and went through every item with me again, I managed to sift through and downsize again Sunday morning to a reasonable amount; it all fit easily into my car. Special thanks to this girl for helping me see past material things. As my mom and I finally drove away, she placed her hand on my shoulder and asked how I was feeling, asked if I was sad about leaving. And, after a week of intense emotions, I was no longer feeling sad but rather, I felt free. I had done it! Not only had I pushed past an attachment to “stuff” but I had taken another huge step toward doing what I had set out to do–to leave my city, the wonderful friends I’ve made, the job I’ve loved, in search of a new adventure. I expect that there are many more challenges ahead but, as I drove out of New Orleans, I felt proud and free. Thank you to the city and people who made me confident in who I am and excited about what’s next for me.